The relationship between us and our pets is always the most special one. It could be cat, dogs or rabbit or any other pet. The gentle nudge of a wet nose or a lick on our hand is enough to brighten up even our darkest nights. Pets give us so much in terms of love and emotional support that we feel like going extra miles to make them feel special. 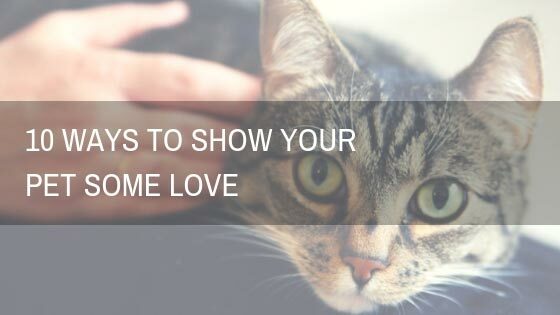 So, here are some amazing ways to treat your pets in the most special way and make them feel loved. Our pets leave no stone unturned to make us happy, but as pet parents are you making the effort to make your furry kids feel loved? Very often, it is the small things that count; playing is one of them. So no matter how busy you are, you must take time to play with your furry kids. They’ve been lying around the house all day, just waiting for you to come home from work & you are the bright spot in their otherwise boring day. So, when you get home from work, turn off your phone and play with them for at least 10-15 minutes. If you have more than one pet at home, you should spend quality time on a one-on-one basis with your furballs. New researches show that dogs are capable of understanding the emotions behind different human expressions. So, what better way of showing your love for your little bundles of joy than smiling every time they look at you? This will immediately put them at ease and make them feel loved and valued. Like playtime, grooming is something that our pets love. Regular grooming not just strengthens the bond between you and your pet, but also helps prevent skin and coat problems. Almost every pet parent knows that regular exercise is important for their pets, but not many people know that mental stimulation is just as essential. So, whenever you have time, teach your pet tricks or introduce your cat to fun games. Pets tend to get bored if they are not given ‘something’ to do. So, give them some work to do, like – fetching the keys every time he/she wants to go outside, or hide some treats around the house and encourage him/her to explore and stay active. Some recent researches have shown that our pooches find our pooch-directed speech exciting. It not just makes them feel valued but it may also help them learn words, just like human babies. So, talk to them, and be ready to get lots of licking and wagging in return. You don’t always have to make sense to talk to your pets; the sweet, nonsensical things we say to them are enough to make them happy. Always remember, your voice is the sweetest music to your pets’ ears, so talk to them often and make them feel good. 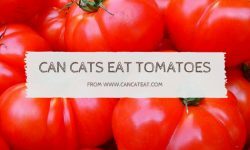 By giving them food reward: Almost every pet owner will agree that food rewards always work when it comes to reinforcing a positive behavior. They are a nearly universal reinforcer in the animal world. So, whenever your Fido goes to the bathroom outside, or your Kitty uses her litter box, appreciate them by giving them their favorite treats. 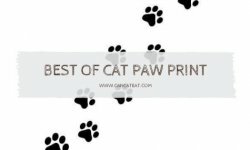 By verbally praising them: Simply acknowledging your pet with verbal praise, in a sweet voice is also a powerful way to encourage your pets to keep up the good work. Petting is unarguably one of the easiest ways to make our pets happy. Pets, especially dogs enjoy petting quite a lot. It makes them feel relaxed by lowering their heart rate and blood pressure and make them feel loved. So, the next time your kitty or your pooch flops down close to you, don’t forget to give him/her a good belly rub. A good 10-minute long belly rub session is sure to make your furball relaxed and happy. Just like us, our pets love pampering too. A nice spa day at home can make your pooch relaxed and rejuvenated like nothing else can. So, whenever you have time, have a “spa day” for your furballs in your own home. It is a great way to treat them like the fur kings and queens they are and make them feel special. To end your pet’s ‘pawsome day’ on a high note, dole out their favorite treats. A day of pampering can make your pet feel really special. It is also a wonderful bonding experience. Cats, like their human counterparts, love to go out and explore. Leaping over streams, running up a dirt trail and climbing boulders keep their spirits soaring. Hiking or backpacking is also a healthy, inexpensive and noncompetitive form of outdoor recreation that de-stresses your cat and makes them fitter. But, there are some important things to keep in mind, if you’re planning to go on a backpacking trip with your cats. Before you start your trip, make sure your pet is absolutely healthy. Exercise them daily, get them checked by a good vet, and make sure they are properly vaccinated. Some places allow cats but require special permits. So, don’t forget to obtain the necessary permits before starting your trip. Carry a first-aid kit and know how to administer basic first aid if your cat becomes injured. 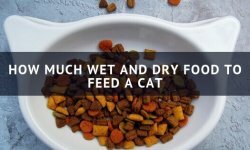 Carry enough food and water for your cat. Don’t forget to take short breaks in between. There may be nothing like Cat Park. Why There Is No Such Thing as a Cat Park? Follow all the safety signs. If you have a small dog, supervise him or her closely around other dogs. Our pets are like our own children to us, so we are eager to spend as much as we can to make them feel special. But, most of us don’t realize that what our pets want the most is something money can’t buy – love and attention from us. So make sure you spend lots of quality time with your furballs and shower them with lots of love and care so that they can always put their best ‘paw’ forward.